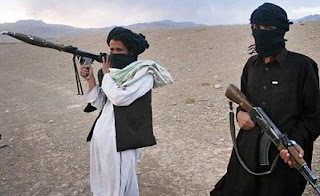 Yesterday on Wednesday 30 June 2010 Afghan Taliban launched a big attack on Jalalabad Airbase and killed more than 30 Nato and Afghan Soldiers. Many Suicide Bombers and Heavily armed Taliban attacked at morning. 8 Suicide Bombers where also killed by Nato and Afghan Forces. A Suicide Bomber crashed a car full of explosive material with entering gate of Jalalabad Airbase and later on other Taliban attacked inside the Airbase. The Fight continued for half hour in which over 30 Nato and Afghan Forces where killed. Afghan Taliban Spokesman Zabiullah Mujahid has taken the Responsibility of the attack. Last month has proved very deadly for Nato Forces in Afghanistan and hundreds of American and Nato soldiers are killed in month of June.